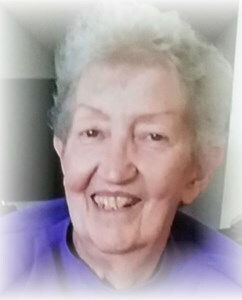 Nelda Zwager age 79, of Indianapolis, passed away on June 12, 2018. Nelda was born August 6, 1938 in Indianapolis to Norman and Elsie (Kissel) Schilling. Nelda worked for many years for the Indiana State Police Post 52 and was a member of Zion United Church of Christ. She enjoyed taking trips with her husband on their motorcycle, gardening, fishing, dancing and spending time with her grandchildren. Survivors include her daughter and son-in-law: Brenda & Jack Harris; grandchildren: Kaleb, Samantha “Sam”; brother: Dale Schilling and a host of other family and friends. Nelda was preceded in death by her parents; husband: Harry Zwager Jr.; son: Gregory Zwager; sister: Shirley Rund; brother: Marvin Schilling. Visitation will be from 11:00 am until her Funeral Service at 1:00 pm Tuesday, June 19, 2018 at Zion United Church of Christ at 8916 E Troy Ave, Indianapolis, IN 46239. Interment will be at New Palestine Cemetery. In Lieu of flowers please make a donation to the National MS Society at https://www.nationalmssociety.org/Donate in Nelda's memory. To share a memory of Nelda or leave a special message for her family, please click the "Share Memories" icon above. Add your memories to the guest book of Nelda Zwager. My deepest sympathy. I knew Nelda and enjoyed her company very much while I lived at Magnolia Springs. We used to eat our meals together. Very sweet lady! My memories of Nelda are from my teenage years when I babysat for their two young children, she was always loving and kind to me. I also had a lot of laughs when she came to have her picture taken for the church directory, because we had both changed so much. She will always be in a special place in my heart.